There is a lovely chapter of this name in a collection of C.S. Lewis writings called ‘First and Second Things’, itself now an old book, which encourages readers to read an old book for every new book they read in order to ‘keep the clean sea breeze of the centuries blowing through our minds’. It isn’t that people of old are cleverer than us, they still make mistakes, but they make different mistakes, and they don’t flatter us by making the same errors that we do. Two heads are better than one because they are unlikely to go wrong in the same direction. Here are some of my favorite old books. J.C.Ryle – Holiness. This was my first serious Christian book, and I found in it such a powerful resonance with its frustrations with pietistic superficial religion. J.I.Packer writes the introduction and recounts having the exact same experience 50 years before me. J.C. Ryle was the first Bishop of Liverpool, and a robust Anglican, and wrote in such a compelling fashion that he is still eminently readable 100 years on. 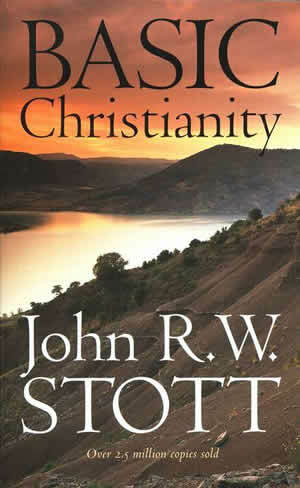 Stott’s clear and concise introduction to the Christian faith is compelling and uncompromising. It is interesting on many levels, from how fresh the introduction still feels after 50 years, the intellectual approach which it approves and strives for, and the challenge to rigour in our pursuit of truth. It is not without it’s flaws (I hope that more recent editions than the one I have use something other than the Authorised Version of the Bible), its use of the Bible as proof is a circular argument, and it’s final chapter on living the Christian life is very basic indeed. But it was very refreshing to go back to this foundational book and see the way it has shaped British evangelicalism for better and for worse. C.S. 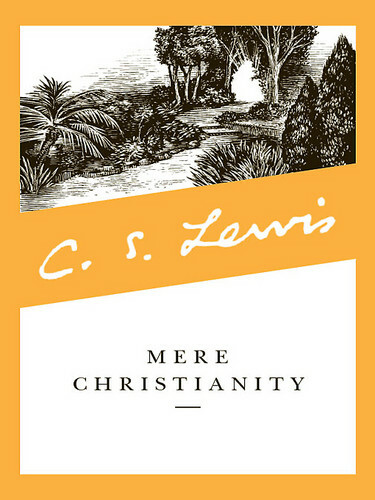 Lewis’ Mere Christianity is hugely influential, deeply formative and eminently quotable. Lewis’ genius is his ability to blend orthodox faith with a rich imagination and no-one comes close to matching his ability. It is however, unfortunately of its time, and sometimes unforgivably so. I never recommend this book without a pre-emptive apology for its assumptions about gender roles. The text can be found online, but it is a book well worth owning. 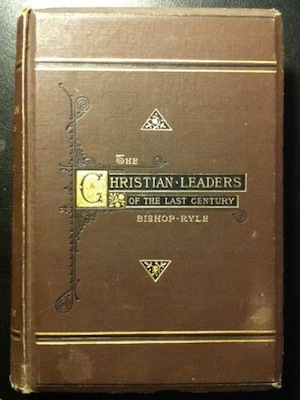 J.C. Ryle – Christian Leaders of the Last Century. The last century referred to here is actually the 18th Century. Ryle has an array of historical and biographical writings, motivated by the conviction that a knowledge of church history is the only way to safely navigate the idiosyncrasies of the contemporary church.